Fire departments work with reduced budgets and limited resources for fighting fire, but are still challenged with finding innovative ways to help protect their communities including working together with residents in wildfire risk mitigation activities. NFPA also provides other materials to help guide your mitigation activities with neighbors and friends. More than 72,000 communities in the U.S. are located in high-risk wildfire areas, according to the 2012 National Association of State Foresters' Communities at Risk report. The report, which provides a national snapshot of wildland fire risk, preparedness and capacity, is the result of a survey of all states to determine the progress in identifying communities threatened by wildfire and the ongoing development of Community Wildfire Protection Plans. FIRE SAFE San Mateo has launched our presence onto Facebook and Twitter, where we will share updates on our projects and relevant wildfire prevention information to residents and visitors to San Mateo County. Please Like Us on Facebook, and Follow Us on Twitter to keep up to date. Join the International Association of Fire Chiefs Thursday, April 18 at 11 am ET, as they present Lessons from the Waldo Canyon Fire to consider how Colorado Spring’s wildland fire safety programs might be applied in your community. Last summer, the Waldo Canyon Fire destroyed 345 homes and resulted in the evacuation of more than 30,000 residents from the city of Colorado Springs. In the wake of the tragic fire, members of the Fire Adapted Communities (FAC) Coalition visited the area to learn how the city’s decade-long wildland fire safety programs had affected the outcome of the fire. A final report and video were recently released as result of interviews, field visits and tours of the city’s most affected neighborhoods the Coalition’s assessment team conducted during the three-day visit to the area in July 2012. The Western Regional Action Plan is part of the culmination of a three-year effort put into motion by the Federal Land Assistance, Management and Enhancement Act of 2009 (FLAME Act). Representatives of federal, state, local, and tribal governments, scientists, interested governmental and nongovernmental organizations, businesses and industries worked together to develop a regional approach to achieving the goals of the National Cohesive Wildland Fire Management Strategy: Restore and Maintain Landscapes, Fire Adapted Communities, and Wildfire Response. The Western Regional Action Plan was developed with stakeholder input in an inclusive and transparent process. It is a dynamic document that will be updated continually and modified on a five-year basis to best focus on the issues of concern in terms of wildland fire in the West. Ecological effects of alternative fuels treatments: Highlights from the Fire and Fire Surrogates study. February 2013. McIver, J.D. ; Stephens, S.L. ; Agee, J.K.; et al. 2013. Ecological effects of alternative fuel-reduction treatments: highlights of the National Fire and Fire Surrogates (FFS) study. International Journal of Wildland Fire, 22(1): 63-82. High-severity wildfire effects on carbon stocks and emissions in fuels treated and untreated forest. February 2013. Trees are an essential part of California's climate and are vital to improving the state's air quality and water conservation. To help educate Californians on the value that trees provide to building successful, healthy cities and neighborhoods, California celebrats March 7-14 of each year as California Arbor Week. Homes with defensible space have a much greater chance of surviving a wildfire than homes without. Fire Safe San Mateo encourages you to give your house a fighting chance during a potential wildfire by establishing defensible space around your home. Defensible space breaks up the continuous path of plants that could carry wildfire to your home. And it gives firefighters a safe zone from which to fight a wildfire. It’s worth your effort. A recent research article in the latest Society of American Foresters Journal of Forestry, December 2012 discusses the importance of community wildfire protection planning in engaging residents and other stakeholders in efforts to address their mutual concern about wildland fire management, hazardous fuel and forest health project prioritization. 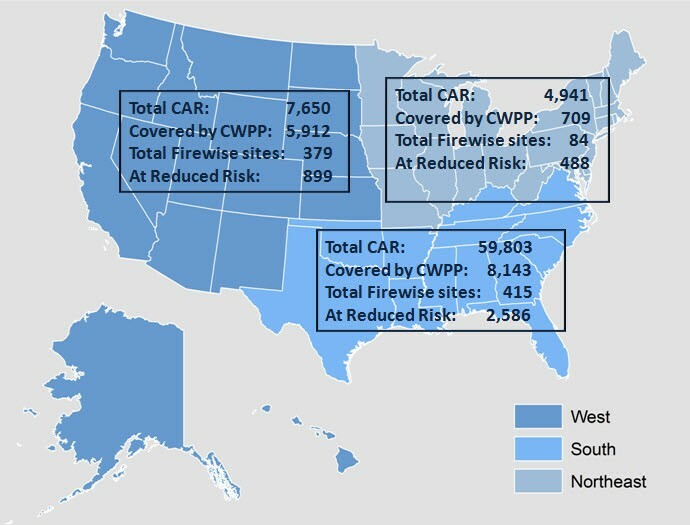 It was interesting to note that of the 13Community Wildfire Protection Plans (CWPP) that were studied 7 of these communities have one or more recognized Firewise Communities/USA® sites located within the geographical bounds of the CWPP planning area . The NFPA's Wildland Fire Operations Division's recently released a report titled Engaging Youth in Reducing Wildfire Risk. Their blog examines why middle and high school students can and should have a role in reducing wildfire risk in the communities where they live. The report looks at existing programs throughout the country, youth preparedness research, findings from a series of six interactive workshops with students living in areas impacted by wildfire and a questionnaire distributed to teachers in four communities that recently experienced a wildland fire event.